FRANCIS’ UTOPIA OF POVERTY & HIS HERETIC ‘BROTHERS’ - On June 22, 2015, during his stay in Turin, Pope Francis visited the Waldensian temple of that city. 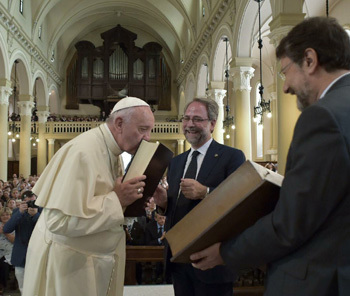 Besides the symbolism of the visit itself to that heretical temple and the extreme cordiality he showed toward the heretic ministers, Bergoglio went on to kiss a copy of the Waldensian bible that was presented to him. To evaluate well the gravity of these words and symbolic actions we must ask who these quite unknown Waldensians are and what their heresies are about. Then, we will be able to check properly what message Francis wanted to send to Catholics with his visit. I summarize here what the Dictionnaire de Théologie Catholique reports on this topic. This sect was founded by Peter Waldo (aka Pietro Valdo, Pierre Valdes or Pierre Vaudois), a rich merchant of Lyon, France, who decided to give everything he had to the poor and adopt an “evangelical poverty.” Supposedly, he was following the advice Our Lord gave the rich young man in the Gospel who wanted to be perfect (Mt 19:21). Waldo's action raised a lot of turmoil in Lyon in that year of 1176 and his street preaching caused a number of simple people to follow him. These artisans and peasants became known as the "Poor of Lyon" or Waldensians. Although illiterate, they were required for admittance to the sect to memorize large excerpts of the Bible, which they followed as their supreme rule. When they first started, Waldo and some followers traveled to Rome to ask permission to preach, which was denied because of their theological ignorance. This caused the Waldensians to rebel against the Church authority and to preach on their own authority. They also allowed women to preach. Notwithstanding this incapacity, Waldo promoted a translation of the Bible to the vernacular, which ended by having many mistakes. Waldo considered himself gifted to interpret the Scripture without assistance or possibility of error. This conviction made him deduce from the Bible that God had directly made him first a priest, then a bishop, as He did with St. Paul. 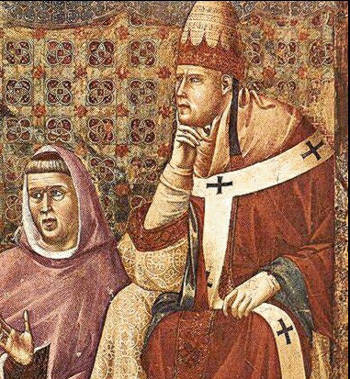 At the end of his life Waldo was exercising the role of a pope. Once a bishop, he “ordained” deacons and priests as needed, as well as other bishops. For those elevations a general approval of an assembly – the communa – was required. The Waldensians considered the power of orders of the Catholic Church invalid, due to the sinful attachment of her ministers to earthly goods and lack of a genuine “evangelical poverty.” For the same reason, they accused Rome of being the Harlot of Babylon. They also denied the Catholic Sacraments, especially the Eucharist and transubstantiation. Their pretension to dissolve the marriages of persons who were admitted to “the perfect” of the sect. The condemnation of the death penalty and military service. 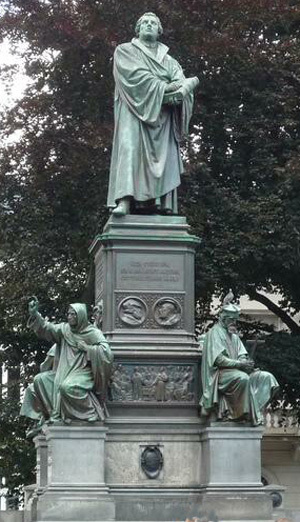 In addition to expanding in France, the Waldensians spread throughout Lombardy in Italy, with their center in Milan. There, they took the name humiliati, the humble ones. From Italy, they gained ground in many cities in south Germany. They also had a marked presence in Aragon and Catalonia, Spain, and in Flanders. Later, in the 15th century, many Waldensians merged with the Hussites, who had marked affinities with their ideas. In the 16th century, they were almost entirely assimilated by various Protestant sects. A few groups remained in the valleys of the Alps. In Italy they still had some assemblies in Lombardy, Tuscany and Sicily. In 1975 the Waldensians in Italy merged with the so-called Methodist Church. In the Bull Ad abolendam of November 4, 1184, Pope Lucius III excommunicated the Waldensians for their pretension to preach without authorization, confirmed by the IV Lateran Council (see Denzinger 434). In the Letter Eius exemplo of December 18,1206, Pope Innocent III composed a formula that Waldensians were required to accept in order to be received back into the Catholic Church. It is an indirect condemnation of the principal heresies of the sect, which can be found in Denzinger 420-427. 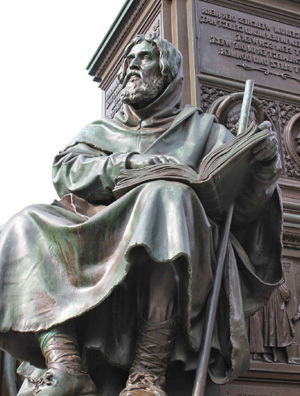 Taking into consideration the past of the Waldensians, we see that the statement Francis made in the temple of their sect in Turin is an attempt to abolish all the past teachings of the Church regarding these heretics. It is an indirect acceptance of their heresies, an outrage to the past Popes and Saints who fought against those false teachings and, above all, an attempt to wipe out the militant character of the Catholic Church. Jorge Bergolgio is trying to impose on Catholics per viam facti (by the way of the facts) the acceptance of everything taught by heretics, Jews and pagans because, for him, doctrine has no importance. I believe he is going too far and too fast. No matter how popular the media and the world say he is, he is quickly losing confidence among Catholics. True Catholics are fed up with this saccharine love of ecumenism, especially when it comes to denying the importance of our Holy Faith. We also see that Pope Francis has totally swallowed the heretical utopia of poverty in its more radical versions: The Cathars, Albigensians, Waldensians and many others are all his “brothers” in their common endeavor to impose a Miserablist Church that has nothing to do with the Catholic Church as she has been known for 20 centuries of History. See “The Principal Miserablists from the Early Church to Vatican II,” in my book Animus Injuriandi I, Appendix I, Part I, 2.